A very exciting Venus Retrograde is happening in 2018! We see Underworld themes & Justice being called in for review. Venus rules MONEY, LOVE & BEAUTY. These things have more than one meaning. 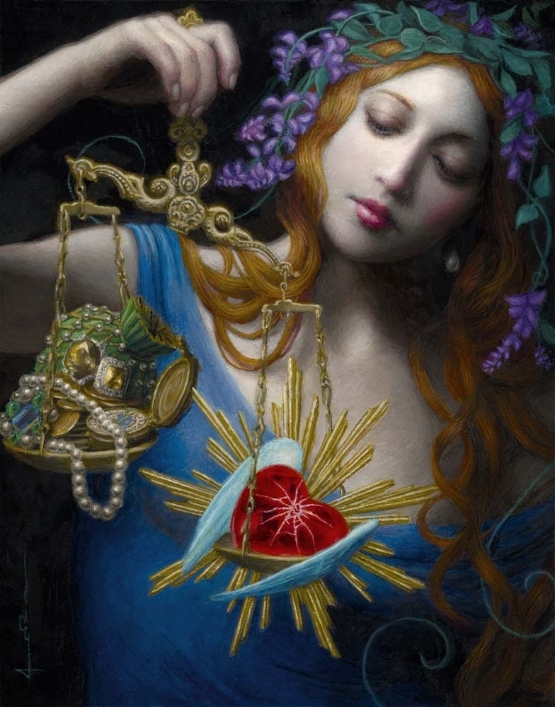 Healing vanity, narcissism, and material addiction is called for in the collective to awaken the true esoteric power of Venus - Divine Love and Sacred Union through art, beauty and relationships. What we birth through our creativity is the center of focus. In this video we’ll discuss the archetypal wisdom of Venus and how she can open the heart to create love, abundance & regeneration of the soul. SUBSCRIBE to our Youtube channel to receive notifications for live streams. The archetypal energies of the Libra Full Moon and the Justice of the Goddess. We will look at what is currently taking place in our world and use Divine Feminine Astrology to show how we can access the higher path of creativity & the healing of relationships to awaken the heart of the human race! Click here to watch video on website.